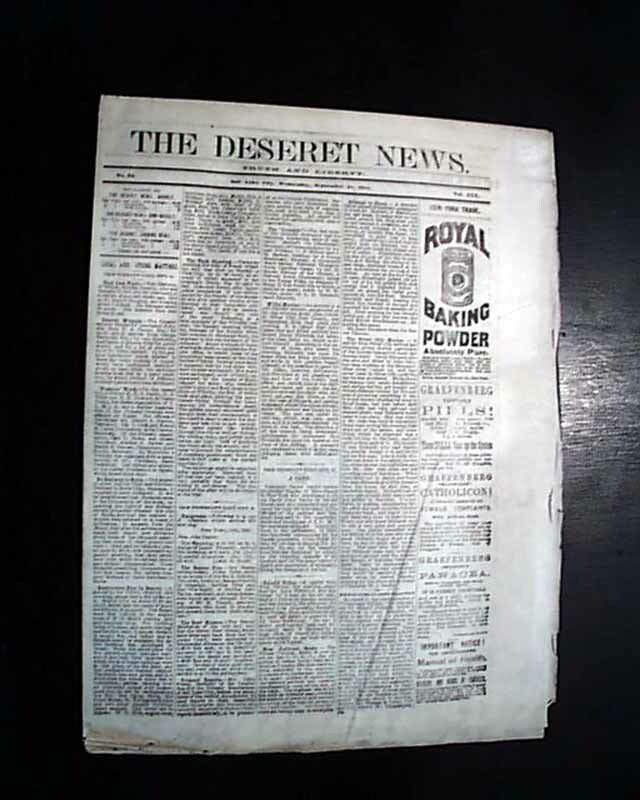 This was the very first newspaper to publish in Utah, having begun in 1850. 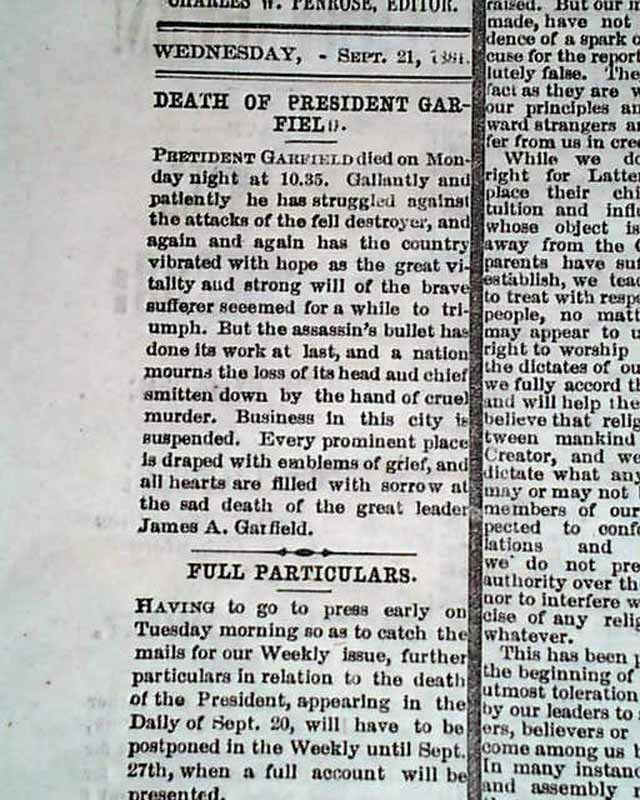 Page 8 has all columns black-bordered and a report: "Death Of President Garfield" and also: "Full Particulars" (see). 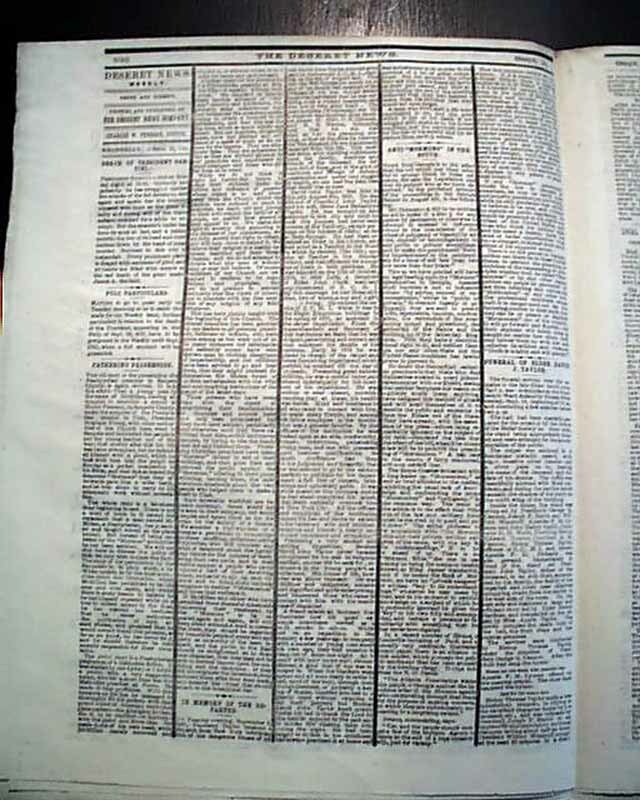 Complete in 16 pages, never bound nor trimmed so it folds out to one large sheet, nice condition.